Divine Olive Liquid Soap by Jeanne end Provence is a liquid soap made by using the traditional Marseille method, with organic olive oil from haute province. It cleans your hands gently and gives you a feeling of wellbeing. Explore the entire range of Handwash available on Nykaa. 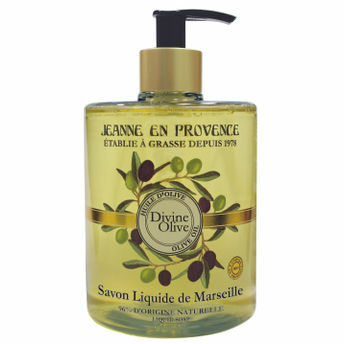 Shop more Jeanne en Provence products here.You can browse through the complete world of Jeanne en Provence Handwash .